Washington State is the new frontier for luxury Cabernet Sauvignon. As a young and emerging wine region, there have already been eight wines to earn the coveted 100-point score from top wine publications. Let’s dive into what makes Washington perfect for wine growing. Agriculture has long been a cornerstone for Washington State, with the farming of apples, wheat, potatoes and many other crops. The earliest signs of grape farming originated with traders at Fort Vancouver in 1825, and by the 1860’s, Italian and German immigrants were making wine. Fast forward to the mid 1970’s, when a few pioneers began planting vineyards and commercially crafting wine in Eastern Washington. These folks paved the way for Washington winemaking as we know it. Today, Washington ranks second in wine production in the United States, behind California. There are a number of factors that make Eastern Washington perfect for winegrowing: namely the geography, the geology and the climate. Many people think of Washington State as the rainy state, which is quite true in Seattle and Western Washington, as storms roll in from the Pacific Ocean. Eastern Washington is a different story. 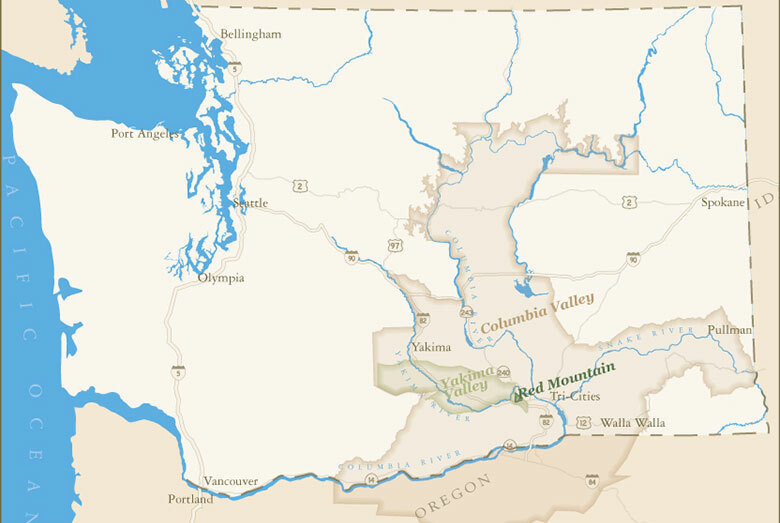 This region sits in the rain shadow of the Cascade Mountains. So, moisture laden storms are blocked by the mountain range, resulting in an arid, desert climate East of the Cascades. At the same time, there are two major rivers that travel through Eastern Washington; the Columbia River and the Snake River which allows for wine growers to easily irrigate their vineyards. Geography and location are influential factors in climate. Eastern Washington grape growing sits at a latitude of 46˚ N which is the same latitude of Bordeaux, France. 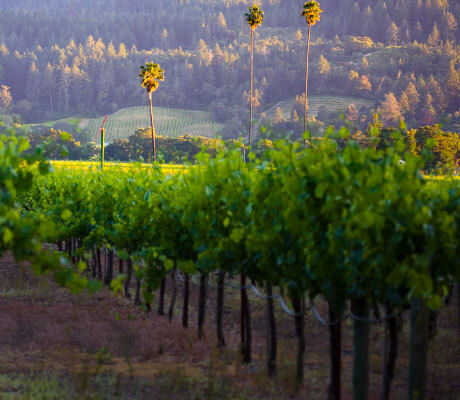 At this latitude, the growing season sees an average of 17 hours of sunlight, which is 2 hours more than Napa. In addition, Eastern Washington’s desert climate also experiences extreme diurnal temperatures shifts, with daytime to nighttime temperature swings of 40 degrees. These long and hot daylight hours slowly and evenly ripen the grapes while cool evenings preserve the grapes natural acidity. Soil and geology have a significant impact on wine quality. Eastern Washington features some of the most unique soil compositions. During the last ice age, around 15,000 years ago, a large glacial lake in present day Montana, flooded the Pacific Northwest with an 800-foot wave that travelled at speeds upwards of 60 mph. This event, known as the Missoula Floods, and is one of the most significant documented flood events on earth. In its wake, the flood completely changed the native landscape of volcanic rocks and basalt by depositing non-native granitic silt, sands and gravels. This unique soil diversity and excellent soil drainage make the vines work harder thus creating a lower yield and higher quality crop. The world of Washington wine is young and up-and-coming, earning its place on the main stage of the international wine scene. Since wine is so intimately connected to place, we are taking a side-by-side look at two of our major Eastern Washington appellations. 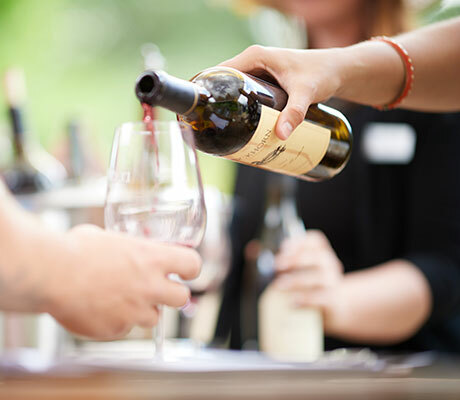 Wine tasting is an exploration of geography, variety and the winemaking style. 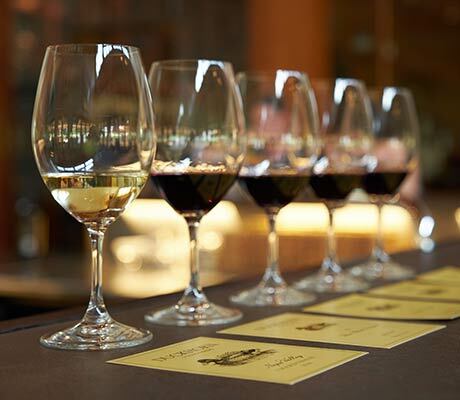 There is no better way to expand your wine palate than to taste more wine! So, try hosting an at-home wine tasting with a group of friends or visit wine country and begin exploring your taste preferences! 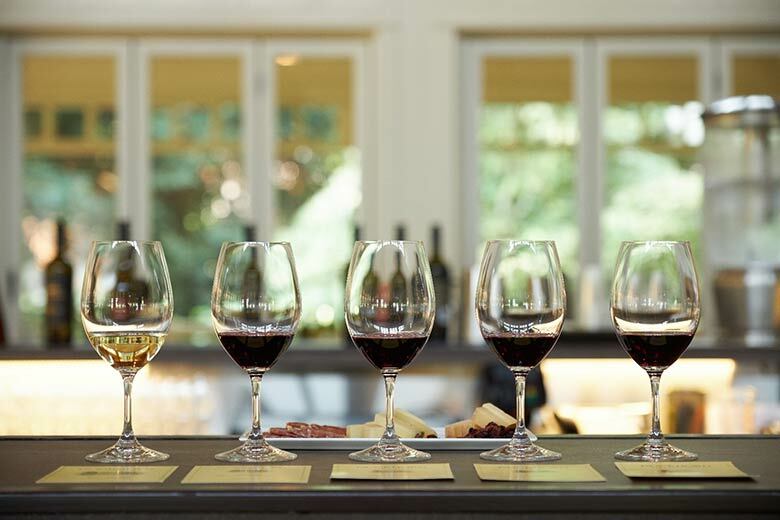 The experience of tasting wine is a journey of your senses. There is no right or wrong way to taste, it is an experience that incorporates sight, smell, and taste. Wine is visual! Tasting starts with sight and an examination of the wines color, opacity and viscosity. The color and opacity gives you insights to the varietal and its age. Red wine with age has an orange tint around the edges, while white wine evolves with tints of gold and brown. The wine viscosity is an excellent indicator of the body and sugar content. Swirling wine pulls oxygen into the glass which helps to awaken the hundreds of aromas in the wine. These aromas give you insights into the grape varietal, the growing region and even the winemaking process. Aromas can be categorized by fruit, flowers, herbs, spices, nuttiness and more. At last, we are ready to taste the wine! Start off with a sip and swish of the wine around your mouth. Our tongues taste through five flavor categorizations: they are salt, sour, sweet, bitter and umami. Grapes have natural sugar and acid, which we can taste in the finished wine. In addition, the barrel cooperage gives off a bitter or astringent component. 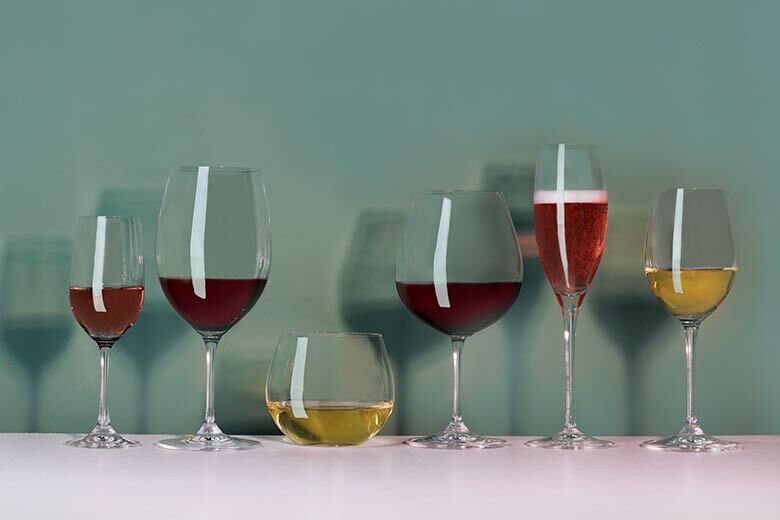 Mouthfeel is a critical factor of taste and there are numerous wine components that influence mouthfeel: tannin, acidity, sweetness, alcohol and body. These compounds create a reaction. For instance, tannin is bitter and astringent with a mouth-drying component. On the opposite spectrum is acidity, which contributes a tartness or tingling sensation that makes your mouth water. Sweetness can be a measure of the residual sugar, but high tannin and high acidity can mask sweetness. Alcohol can be sensed as heat toward the back of our throats. 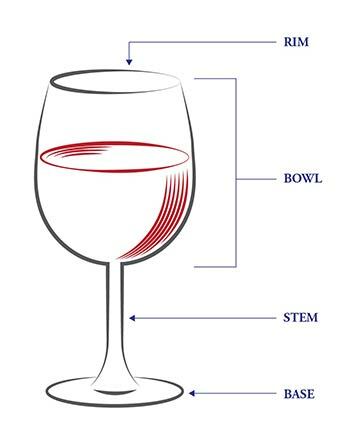 The body of a wine is measured by its weight and range of watery to thick. Wine also has a time component. There is a taste journey or timeline, in which the tasting experience has a beginning, middle (mid-palate) and end (finish). In this time frame, the wine aromas and flavors change as they travel from your first sip, to the mid-palate and finish. Lastly, ask yourself how the wine tasted? Was it balanced, youthful, fruit forward, complex? The most important question of all, is if you liked it? What do you taste? Are there new fruit flavors that present themselves separate from what’s on the nose? Is the fruit bright and refreshing or subtle? Is the texture and mouthfeel intense, sharp, silky, smooth, lush or creamy? Is the presence of oak apparent in the form of tobacco, vanilla, black tea, coffee? At the end of the day, wine tasting is a meant to be fun! It’s a personal experience and exploration of what aromas and flavors speak to you. 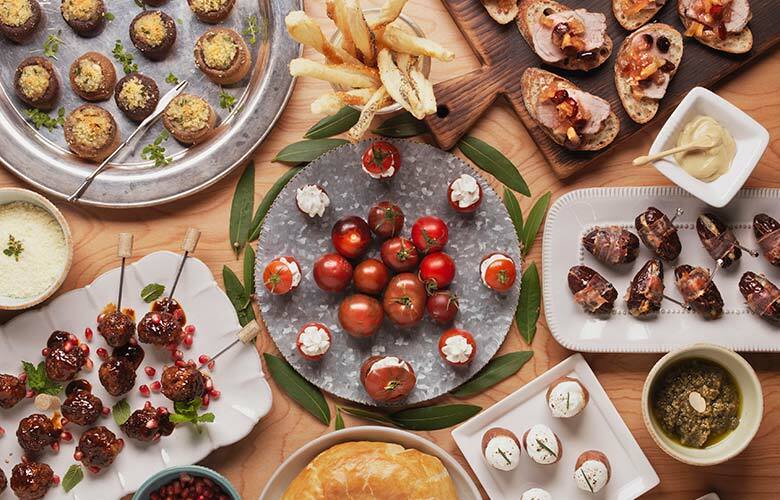 So, we suggest grabbing some friends and diving into the tasting experience! Anderson Valley is the perfect place for Pinot Noir! Yet, this wine region is off the beaten path and relatively unknown. But, for those who understand the nuances of this valley, would certainly call Anderson Valley the ideal home for world-class Pinot Noir. Pinot Noir is a finicky varietal to grow. Much like Goldilocks not wanting her porridge too hot or too cold, the Anderson Valley is just right for Pinot Noir. Cool coastal fog funnels in from Mendocino through the Redwood Forest along the Navarro River, only to dissipate for a few hours during the afternoon, giving way to bright and warm sunlight. That cool fog retains acidity in the grapes and the warm afternoon sun increases the sugar content in the grape. Meaning that the Pinot Noir here experiences a consistent ripening. 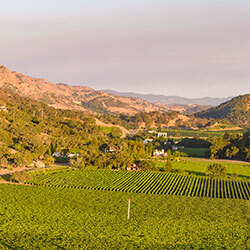 Anderson Valley offers two distinct terroirs in the form of steep ridgelines and low valley floor, both of which accentuate the best of Pinot Noir. The ridgeline vineyards experience a very different growing season than the valley floor blocks. A more intense sunlight radiates off the ridgelines throughout the day meanwhile the fog sits in the valley floor. The ridgeline slopes create a natural runoff and irrigation system which contributes to development of smaller berries and tighter bunches, with more concentration. Yields on these ridgelines are often smaller due to the vines focus on root growth, as they search deep into the gravely loam soils for nutrients. The intense ridgeline sunlight helps develop a thicker-skinned berry, establishing a stronger tannin presence in the wine. The fruit from the valley floor exhibits fruit forwardness and rich lush textures as well as earthy notes. 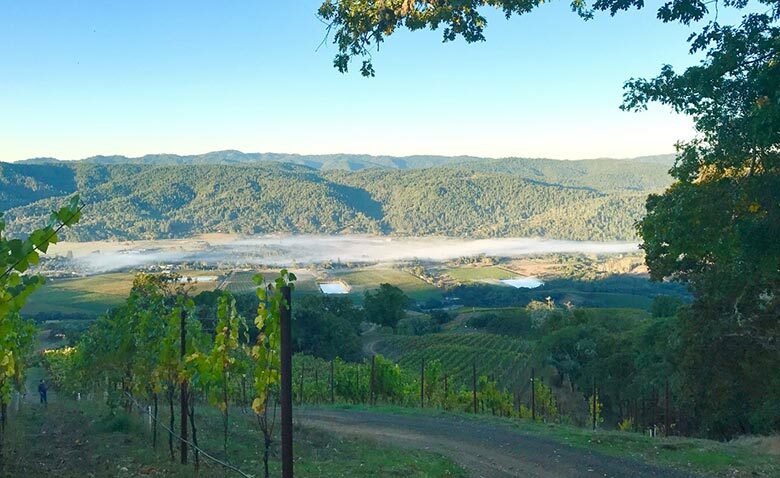 Winemakers in Anderson Valley are able to craft beautifully rounded and balances wines from these different terroirs. Due to the Anderson Valley’s weaving terrain, it has a range of microclimates that allow for different profiles of juice to develop, some with bright acidity and others with dark fruit aromas. In most wine growing regions, only one of these flavor identifiers are present. 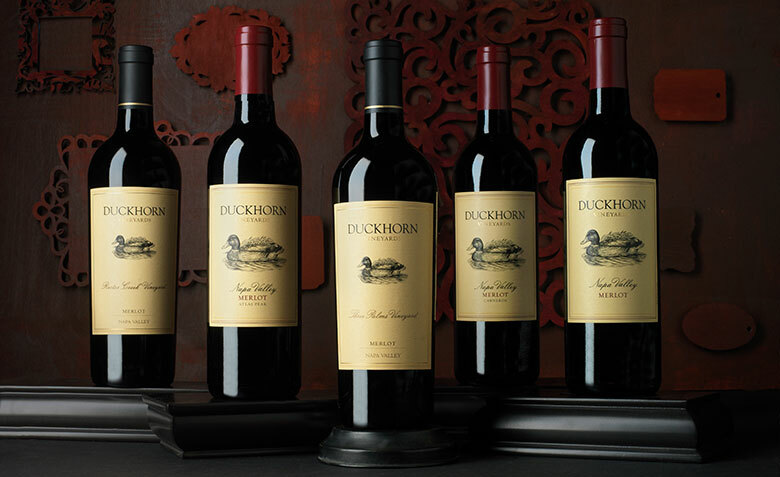 The wines coming out of Anderson Valley are unique in that bright red fruit aromas are on the nose, but at the same time strong acidity, tannin and dark fruit flavors hit the palate. Much like the morning maritime fog gives way to the afternoon sun, the bright red fruit aromas on the nose give way to darker and bolder flavors on the palate. 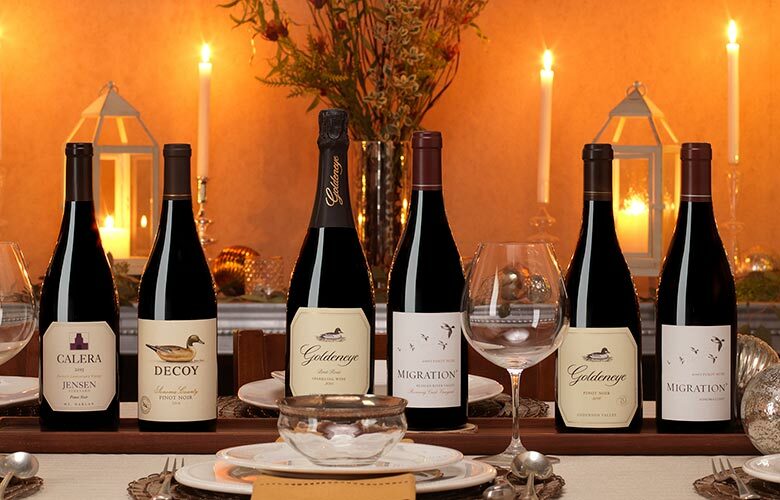 Here at Goldeneye, we produce a range of Pinot Noirs grown on both the valley floor and steep ridgelines, shop here to see our offerings! 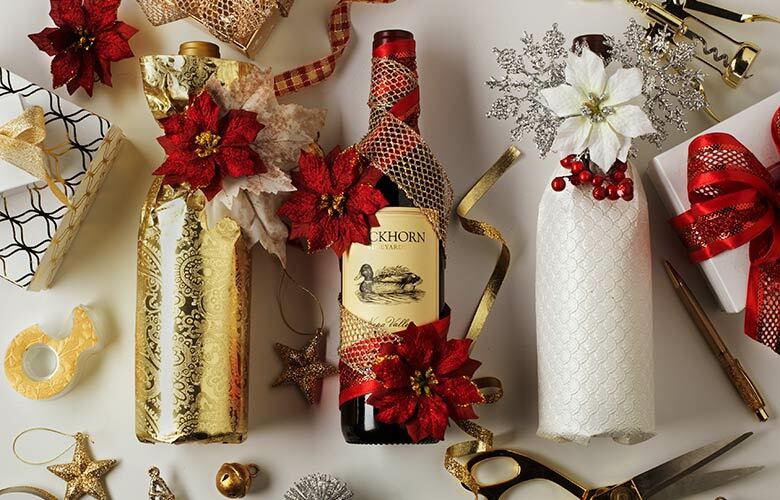 Add a special touch to your wine gift this year, consider wrapping the bottle! 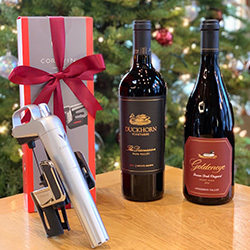 Whether you are gifting to the wine lovers on your list or a dinner host, taking the time to wrap the wine bottle is guaranteed to put a smile on their face. 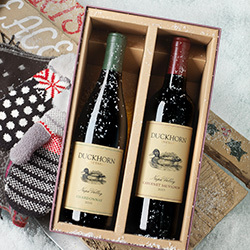 Lay your Duckhorn Portfolio wine bottle on the center of your wrapping paper with about 1 ½ inches below the bottom of the wine bottle. Roll the wrapping paper around the bottle and secure with a piece of double sided tape. Fold the remaining paper under the bottom of the bottle and secure with tape. Pro Tip: Make sure to tape on the glass so you don't ruin the label! Tie the bottle at the neck with your favorite ribbon. 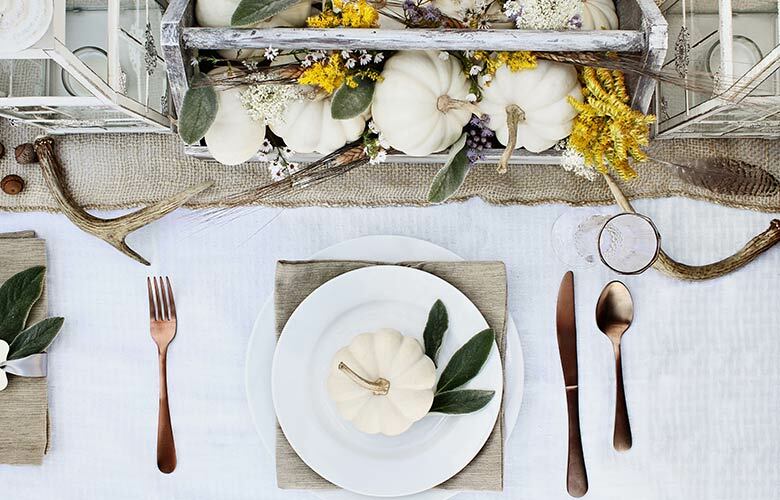 Add a special touch by placing an accessory over the ribbon, like a festive flower or ornament. 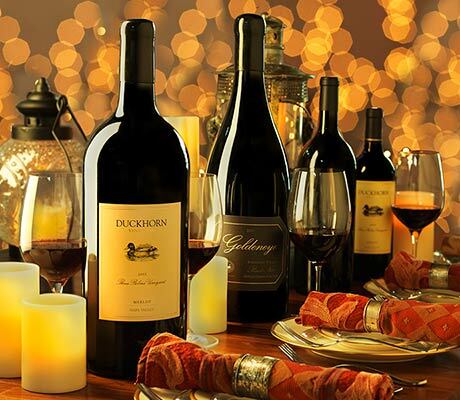 Here at Duckhorn Vineyards, our 41st harvest has come to a successful completion. As we exhale, wipe our brows and take an introspective pause, reflecting upon our 4-decade love affair with Merlot is appropriate. Today, Merlot is the second most widely planted varietal in the world. Merlot is the third most plated grape here in the Golden State and it leads the acres planted in Washington State as well as on Long Island. Merlot is a regular and trusted choice for wine drinkers around the world. However, when our visionary founders Dan and Margaret Duckhorn made the critical decision to focus their winemaking efforts on this grape, the wine was very minimally known. Dan and Margaret became enamored of Merlot due to some enlightening travels they enjoyed in Bordeaux. They were particularly smitten by the wines they experienced that were made on storied Right Bank, specifically from the communes of Pomerol and St. Emillion. In those two regions Merlot is the dominant varietal and they both fell hard for the inherent smoothness, approachability, plushness and concertation displayed in the local wines. 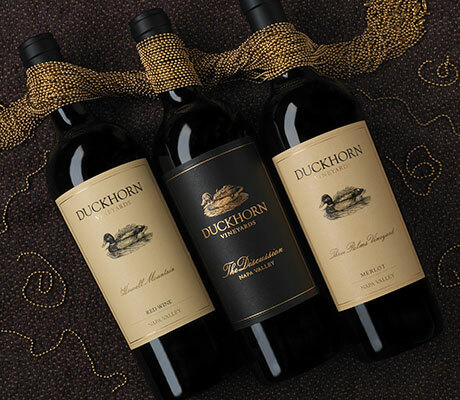 The seed was set: Duckhorn Vineyards would position itself as the preeminent producer of premium Merlot in Napa Valley. Though many Napa Valley wineries were using Merlot as a blending grape in the late seventies, few were exploring the potential of this varietal as a stand-alone wine. Ric Forman, a helpful local friend introduced Dan to the remarkable brother-brother team of John and Sloan Uptown, owners of the vineyard we consider our spiritual home: Three Palms Vineyard. Dan assessed this unique up-valley site to have the appropriate climate, soil, and drainage needed to grow the caliber of Merlot he wanted to put his name on. A deal was struck: the Uptons sold us the first bins of Merlot from which our founding Winemaker Tom Rinaldi created our debut wine: 1978 Duckhorn Vineyards Napa Valley Merlot Three Palms Vineyard. 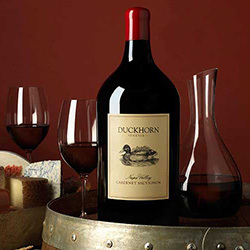 Eight hundred cases of this wine were released sporting what is now one of the most recognizable labels in American wine. The use of the yellow paper and the ink drawing of a Mallard duck are recognizable elements of our brand identity today. Ambivalence in the marketplace did not discourage Dan and Margaret and their dedicated employees. Building on our role as the first American winery to pioneer luxury Merlot, we made our debut vintage of Napa Valley Merlot in 1979. Today this iconic wine is a juggernaut, a popular and respected choice for American wine drinkers as well as fans in over a dozen countries we reach through our export efforts. Our passion for creating world class Merlot benefited from the boom in Merlot sales that surged in the 80s and 90s. We stayed steady, invested in new vineyard sites, got better and better at our craft and emerged from a slump in Merlot sales in the 2000s as a true standard-bearer. 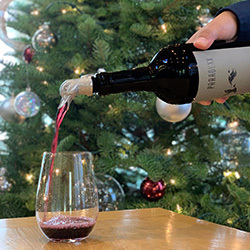 That steadiness, dedication and single-minded adherence to quality was recognized by the Wine Spectator in December of 2017 when they chose our 2014 Three Palms Merlot as the Wine of the Year. We were all humbled a well as ecstatic about this powerful recognition.